A girl has equal freedom, similar to a boy, said the High Court of Kerala, while striking down a stipulation in hostel rules which barred girl boarders from going for the first and second show movies. 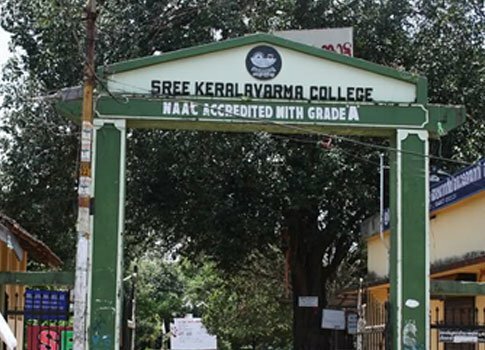 Justice A Muhamed Mustaque, striking down the said stipulation in Rules of Girls' hostel attached to Sree Kerala Varma College noted that there was no such restriction in the boy's hostel. The Court, partly allowing the petition filed by Anjitha K Jose observed: "It appears that moral choice of the management is attempted to be imposed upon the Boarders. The moral paternalism is something to be frowned upon. A girl is having equal freedom similar to a boy. There are no similar restrictions in the boy's hostel. It is for the students to decide whether they should go for first or second show movies or not. This is an activity outside the hostel activity." However, the court observed that the college can fix timing for return in the evening. But that timing should also be reasonably fixed. It is only for the purpose of securing the discipline in the hostel, such timing can be fixed, the court added. It further observed: "That is to say that on account of late return, it shall not affect the conducive atmosphere in the hostel. The management has every power to fix the timing for the return to hostel. As already said, it must be reasonable and it is only to secure the purpose of discipline in hostel, nothing else. In the light of facts that this moral choice of the college cannot be imposed on others, this clause has to be struck down." With regard to the students' request to refix timing to return to hostel (which is presently 6.30 p.m) as it causes undue hardships to the students, the court relegated them to submit representation before the Principal of the College. The petitioners' counsel Advocate Surya Binoy had argued that the hostel regulations violated Clause 3.2. (13) of UGC (Prevention, Prohibition and Redressal of Sexual Harassment of Women Employees and Students in Higher Educational Institutions) Regulations, 2015, which said that "Concern for the safety of women students must not be cited to impose discriminatory rules for women in the hostels as compared to male students". The High Court also struck down another stipulation that no member of the hostel shall take active part in political meetings, processions or propaganda. Regarding this stipulation, Justice Mustaque said: "This instruction has nothing to do with any discipline in the hostel. It is the fundamental right of every citizen to have its own political views as part of the freedom of expression. That can be only reasonably restricted for securing any objectives of the management of the hostel." The court also rejected the contention on behalf of the college defending these stipulations on the ground that these hostel instructions were signed by the parents of the students. The court said: "The petitioner is an adult. Her right to question cannot be compromised based on parental consent. Even if the parent had signed, instruction cannot be violative of fundamental rights." However, the court upheld the stipulation that boarders should not remain in the hostel during working hours of the College, without previous sanction of warden. The college hostel cannot be a shelter for such students to remain away from the College, the court said.